Despite the marginally improved confidence indicators, the Romanian industry ended the third quarter on a weak note. Industrial production slowed down from 5.5% year-over-year in August to 4.0% in September and ended 3Q18 with a -0.2% quarterly sequential contraction. Manufacturing led the slowdown as it contracted by -2.0% versus the previous quarter. The mining sector contracted as well by -1.4%, overshadowing a 1.1% expansion of the energy sector. 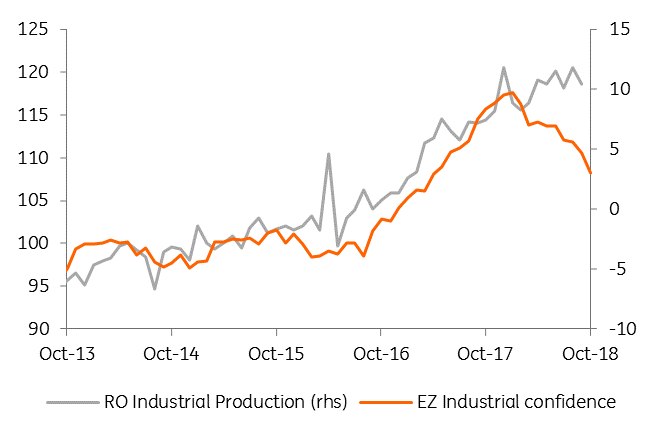 Compared with September 2017, the 4.0% seasonally adjusted growth confirms the stabilisation of industrial production in the low single digit area. 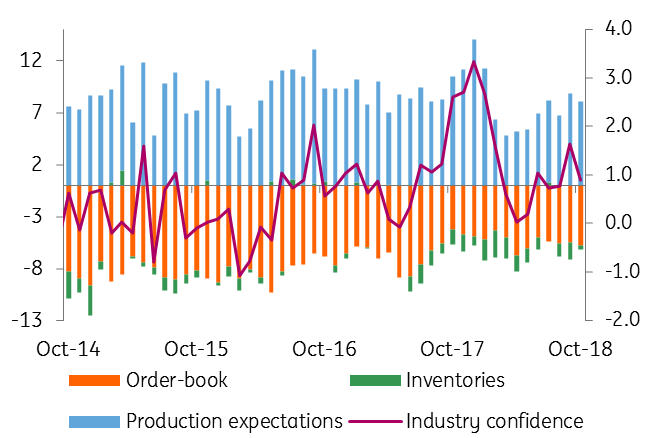 With the October 2018 confidence indicators pointing south again, a mediocre outlook for Romanian industry remains the best case. Today’s data confirms the weak prospects for third quarter GDP growth and we expect it to slow down to 3.0%YoY and confirm that even the recently updated official growth forecast is too optimistic.